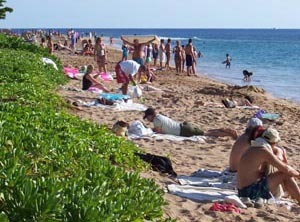 Money Magazine ranks Maui as the #1 Last-Minute Summer Getaway! "This normally pricy destination is the cheapest it's been in years." 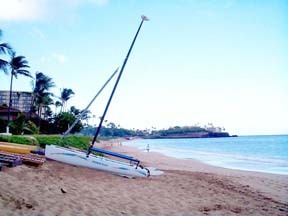 Kaanapali Beach is one of the top rated beaches in the world. 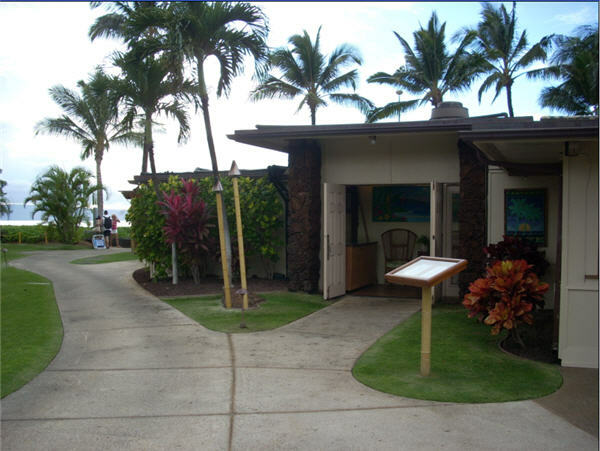 It's about a 45 minute drive from the Kahului airport to Kaanapali. 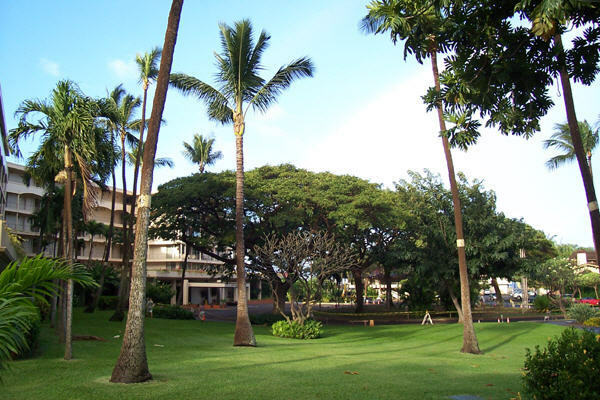 For many people a vacation in Hawaii seems exotic, expensive, and potentially out of reach. But it doesn't have to be that way. 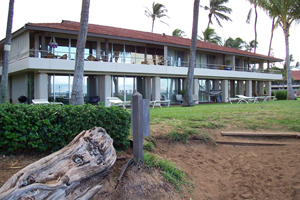 There are two main ways to vacation in Hawaii: hotels or condos. Hotels are great for newlyweds using somebody else's credit card, but restaurants and room service can get to be expensive. And you come to Hawaii to get out of traffic jams, don't you? 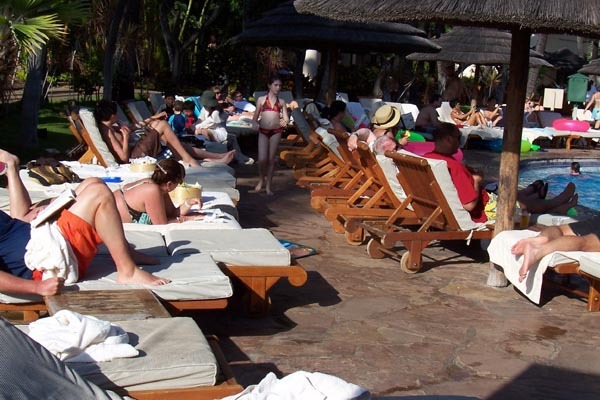 This is what the pool and beach look like at the big hotels. 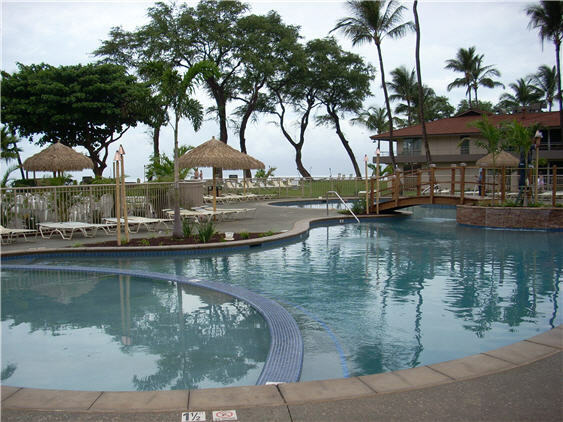 Compare this to the Maui Kaanapali Villas new pool and beach (below). Or the new MKV pool between the Coconut and Banyan buildings. 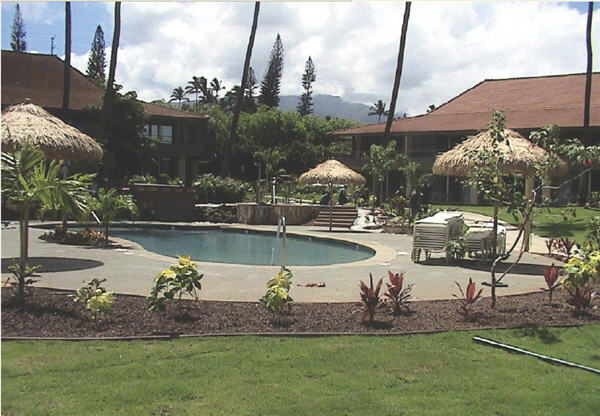 For less than the price of a hotel you can get a condo like ours at Maui Kaanapali Villas that has a full kitchen, pool, beach, restaurant, and local transportation. Why are hotels so crowded and many condos aren't? Density! Ten stories vs two. 3 acres vs 12. 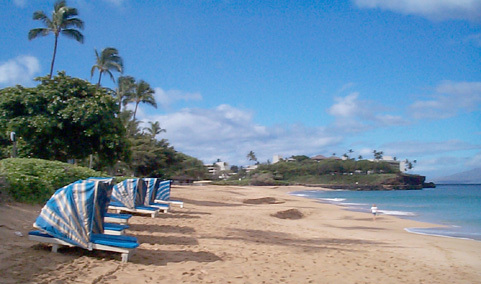 Maui Kaanapali Villas has one of the lowest densities of any property on the island. Beach Access: Some condos are on the beach, while some are off the beach. Off the beach means that you may have to cross a busy road to get to the beach or even drive to the beach. 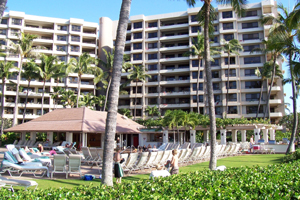 When you vacation in Hawaii at Maui Kaanapali Villas (MKV), you are right on Kaanapali beach. Your commute to the beach is a two minute walk from any condo. Restaurants: Some condos have restaurants, others don't. 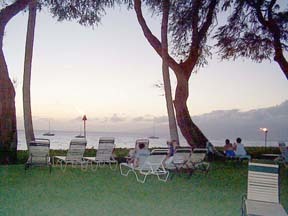 At MKV, the Castaway Cafe is right on the beach, by the main pool. There are three kinds of views you can get from your room: Ocean views, garden views, and mountain views (inland). Ocean views are often more expensive ($100-200/night)? Mountain views look inland toward the volcanic mountains of the island. Garden views overlook the lawns of the property. If you bring the kids, wouldn't it be nice to keep an eye on them? When you vacation in Hawaii, airfares can seem expensive. While most airlines run off-season fares, there's a cheaper way to get to Hawaii. I have a credit card that pays me one mile for every dollar I spend. I use it for business and personal charges. The air miles from my credit card has taken my wife and I to Hawaii, for free, almost every year. The secret? Airlines open air miles booking 330 days in advance. If you can think 11 months in advance, you can get free seats. From the west coast, you can fly to Maui in about 4.5 hours. Other islands are only about 30 minutes flying time from Maui. Hint: There are more direct flights to Honolulu than to Maui or other islands, so you may have an easier time booking your free air-miles flight to Oahu, then connecting to Maui. Local flights operate every hour. 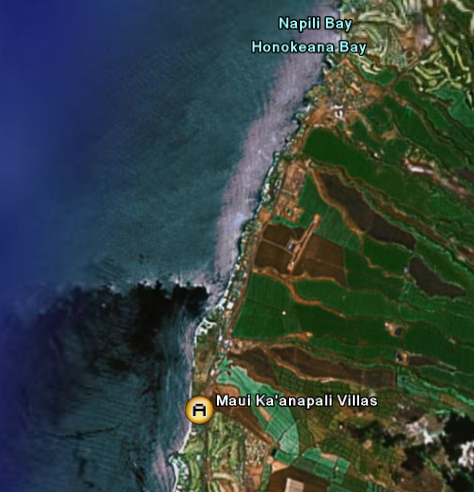 Live Webcams of Maui Click Here! Movies to get you in a Hawaiian Mood!